Holy cow, this was an exhausting weekend. As you may know, our dishwasher has been broken for what seems like ages now. We finally got the go ahead from Samsung to return our dishwasher back to Best Buy, so we went there on Saturday to process a replacement. Turns out our dishwasher is already discontinued — guess everyone else thought it sucked, too — so we had to just return the dishwasher for a refund, wait for that to go through, and buy a new one. *sigh* As if that weren’t a hot enough mess, everything in our house seemed to leak this weekend… pipes, washing machine, sink, etc. Ahhhh the joys of being a homeowner. We are hoping to buy a new dishwasher tomorrow *fingers crossed*!!! I would love to fill the gaping hole underneath our cabinets with a working dishwasher and reattach the pipes underneath our sink. Can’t wait. Luckily, that was the only bad/stressful part of our weekend. 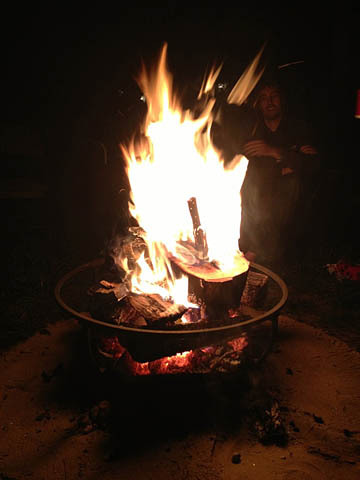 We went to a bonfire and I did lots of crafts. Lots! I don’t even remember where I picked up these wall sconces, but they were in need of some l-o-v-e love. I was originally going to spray paint them, but neglected to do so for real. So, I busted out some of my paint samples and got to painting. I went with a light teal and a light brown. 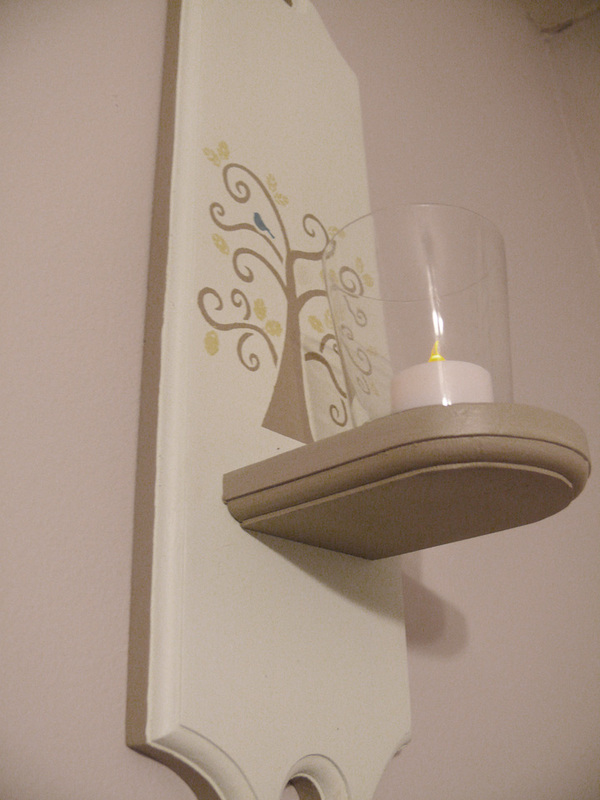 I took off the candle holder with a screwdriver, then painted the back of the sconce teal and the candle holder brown. 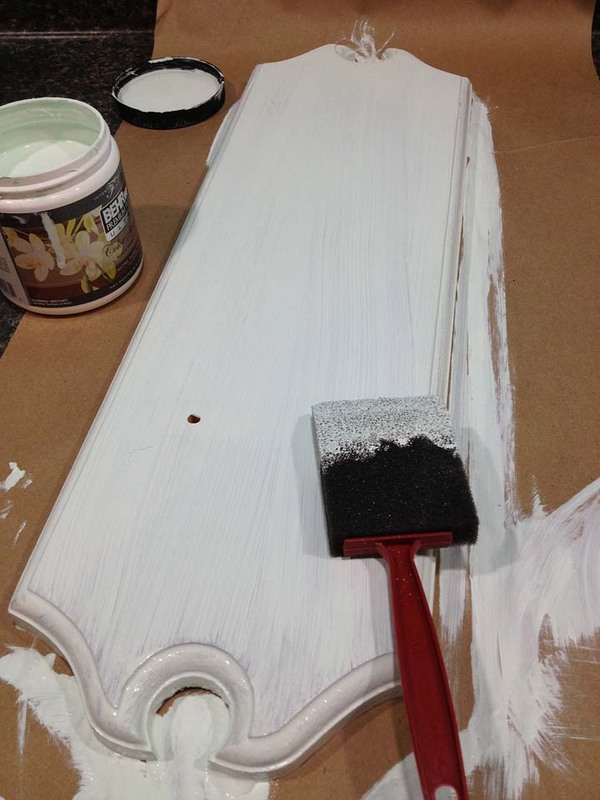 After several coats of each color, I painted the outer trim of the sconce a light brown, too. Once everything was dry, I pulled out a stencil I’ve been wanting to try. This time, I used stencil adhesive. If you use a stencil, USE STENCIL ADHESIVE. It really does help keep the stencil in place while you paint. 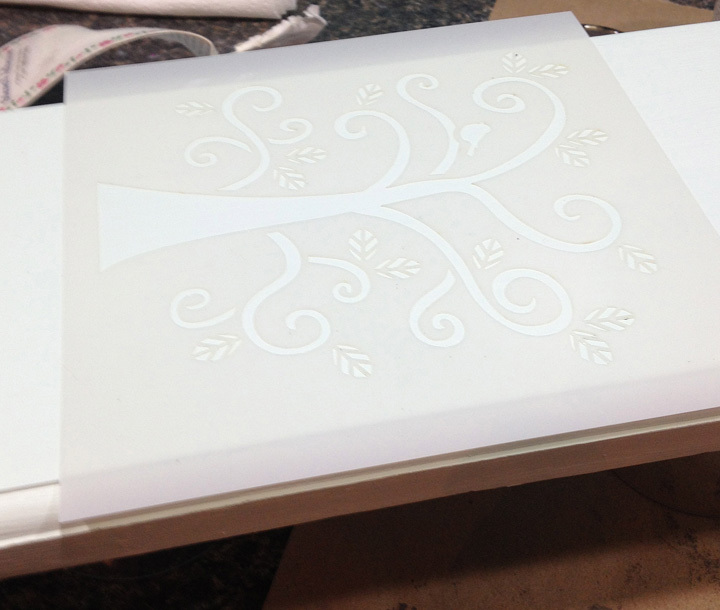 I placed my stencil on the sconce exactly where I wanted it, dabbing on the adhesive around the cutouts right before. 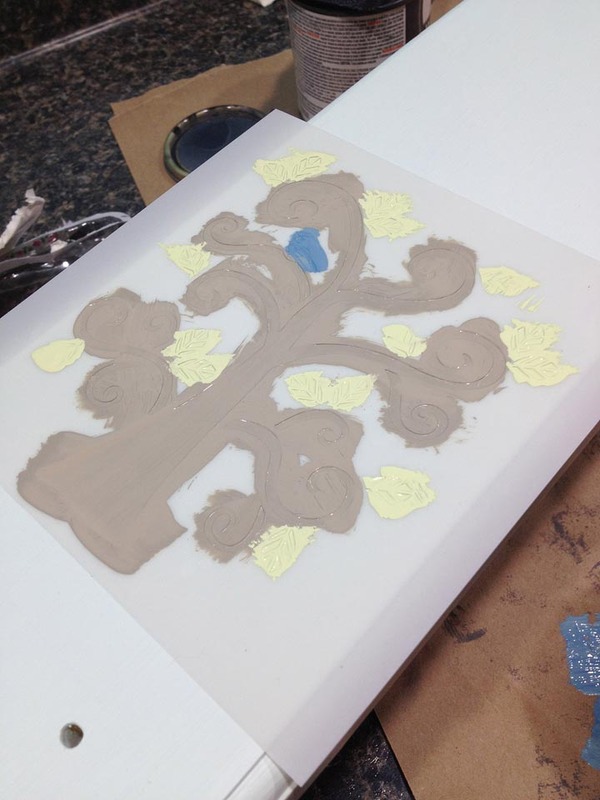 Once the stencil was secure (I only waited about a minute after placing it on), I painted the tree brown, the leaves green and the bird blue. I pulled off the stencil as soon as I was done painting. Once everything was dry, I screwed the candle holder back onto the sconce. Now that’s an improvement, wouldn’t you say? I do have a confession, though. 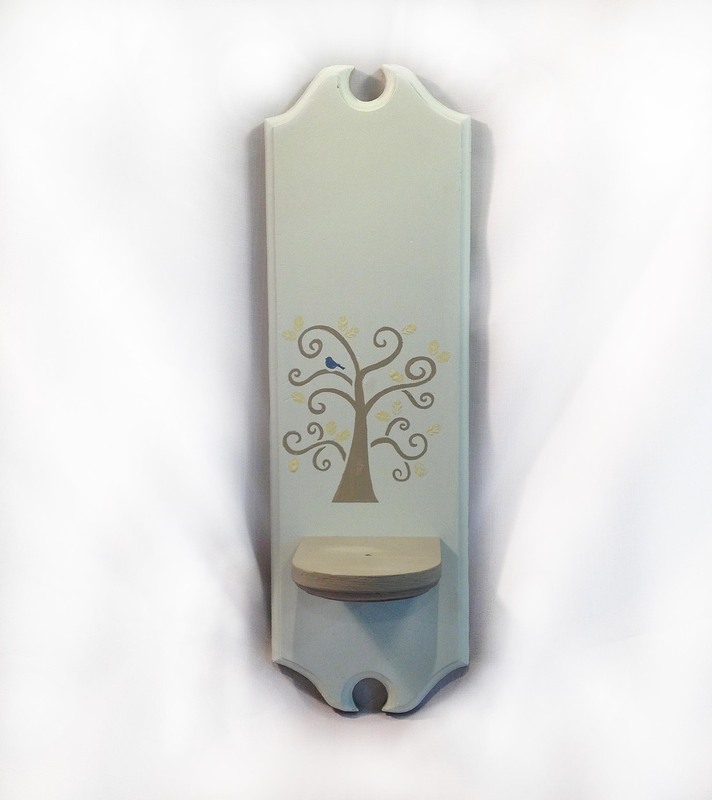 It wasn’t until I started writing this post that I remembered I have a second sconce somewhere around my house!! Should I make a second bird sconce since it turned out so well, or should I do something completely different? I hope you all had a great weekend. And a special thanks to those of you who checked out my blog this past weekend — I had a record number of views on Saturday and was so very excited about it. You guys are awesome and I hope you keep coming back for more! Previous postGuess who got a puppy!!??! !